One of our favourite things about cities is how quickly they can change. A new delicious restaurant can open at any moment, a new festival may roll into town any season, or a neighbourhood could suddenly become the new “it” spot overnight. Spread those moments out over five years and the shape of a city can really change. And as we’ve grown and changed, so have some of our operating cities. We asked five Urban Adventures partners how their cities have changed for both locals and tourists over the past five years. Five years ago, Dubai was already starting to be a very multicultural place. The boom started, so everybody came here, a lot of people from Europe and from the States. Because of the economic crisis, Dubai was a good option to go and work. 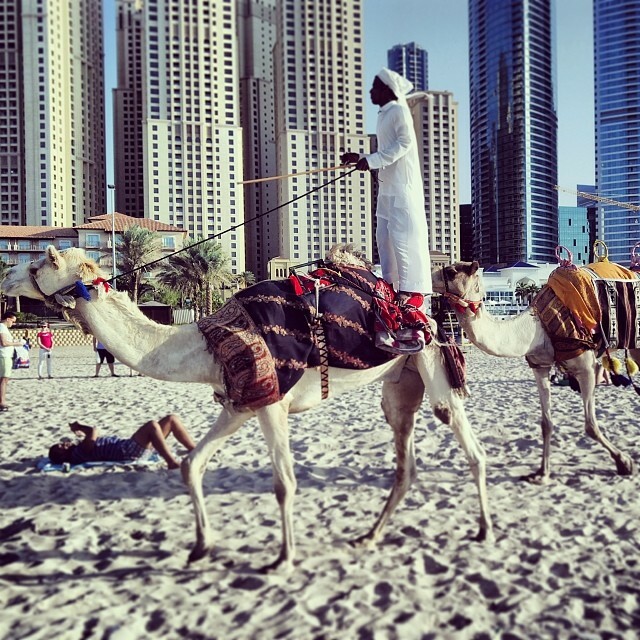 Ninety percent of the people living here didn’t actually grow up in Dubai. The situation now is that Dubai has finished its oil, so they are investing a lot in tourism, from hotels to tours. Last year they started letting in some European airlines because it was quite expensive to fly here. So it’s becoming more accessible for tourists. Emirates Airlines is huge, and when you fly Emirates, you have to stop over in Dubai. There are a lot of business travellers and stopovers for two or three days. Now, every time I leave, if I go away for a month, when I come back there’s always something new, they’re always building something. And the construction won’t stop until 2020 because the city is hosting the World Expo. So they are building like crazy. There are some buildings, out in the desert, half of them are empty. People have stopped buying. There were a lot of foreign investors because it was quite a good value, but now it is a little bit slower. But Dubai has to keep building; that’s what they do. They don’t have industry, but they have space, so they build. Up until 2020, it’ll be big growth and prices will go up, but after that, I don’t know what will happen. It’ll be really interesting. Maybe they’ll have to find something new for economic growth to pick up again. It was really strange when I first moved here. Dealing with the heat wasn’t the problem. For me, the most difficult thing is there was no public transportation. You have to take taxis. You can’t walk because the infrastructure isn’t there. They are introducing city bikes, but I don’t know where you can use them. Sometimes it’s really demanding for somebody who is not used to driving everywhere. But there is everything you could need there — except maybe some arts and culture is missing, like theatre or independent movies and things like that. Otherwise, you can get everything there, from every culture. From street food to the most expensive restaurants, you can get everything. It’s actually hard to find local food. Five years ago, it was almost impossible. I’d ask everybody where to get local food, and they’d bring me to Lebanese restaurants and Iraqi restaurants, and I’d say no, I want Emirati food. They didn’t think people would be interested in their food. But slowly, slowly, they started opening places for Emirati food. And now they are getting more of them. The government and investors really want the expats to live here. They don’t want you to go back home every week or every month; they want you to spend your money here. I think that’s why they’ve made everything available here. You can feel like you’re at home. If you go back 10 years, Athens has really changed since the 2004 Olympic Games. The games changed a lot of things in Greece, but especially in Athens. There are more streets for pedestrians, so it’s easier to walk around. All the museums have been renovated, the hotels. Four or five years ago, we got the new Acropolis museum, near the Acropolis site. We now have two extra lines for the metro. 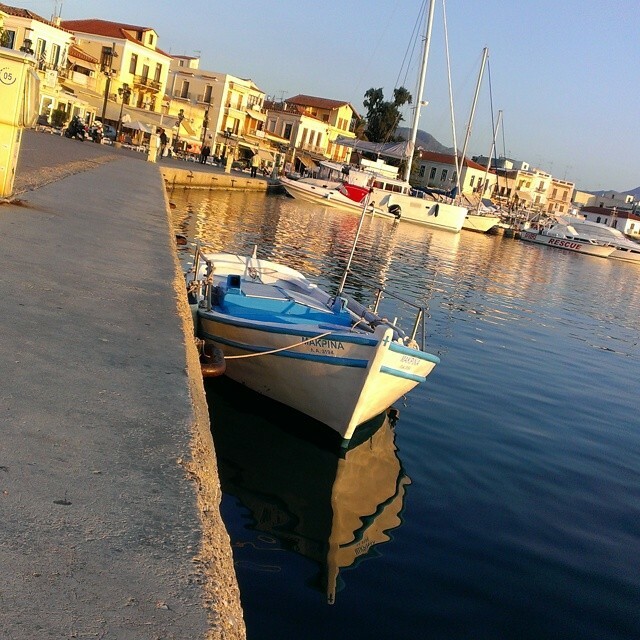 But to be honest, for the Athenians, life has been a bit difficult because of the crisis. The last five years were not very good to them. They weren’t going out a lot, not as they were before. And tourists were afraid to come. Television media were showing the centre of Athens with cars on fire, a lot of strikes. This was only happening in the centre of Athens, but it looked like it was all of Greece. But we’ve now had a very good year in 2014 — a lot of tourists are coming and they are filling this gap, and there’s a lot of energy in the centre of Athens. The youth are going out, they’re hanging out with people, they’re seeing things from a positive side. Athens is a great place. You have a lot of bars, cafés. It’s very modern. During summer season, you have the sea all around. You have a lot of things to do around Athens. The centre of Athens is the old city, with very nice architecture. You have lots of archaeological sites. Athens is also very centralised and sites are close, so it’s easy to get around. It’s easy to communicate in English, and street names are all translated into English. We don’t have the same cultural events as Paris or London, but we’re pushing to have some of this. The centre is developing now. I think in the past few years, the news made a lot of people worried about coming to Mexico City. But now the community is starting a lot of new projects after all these crazy things going on in the past years — cool projects about the organic shops, organic mescal, tequila. 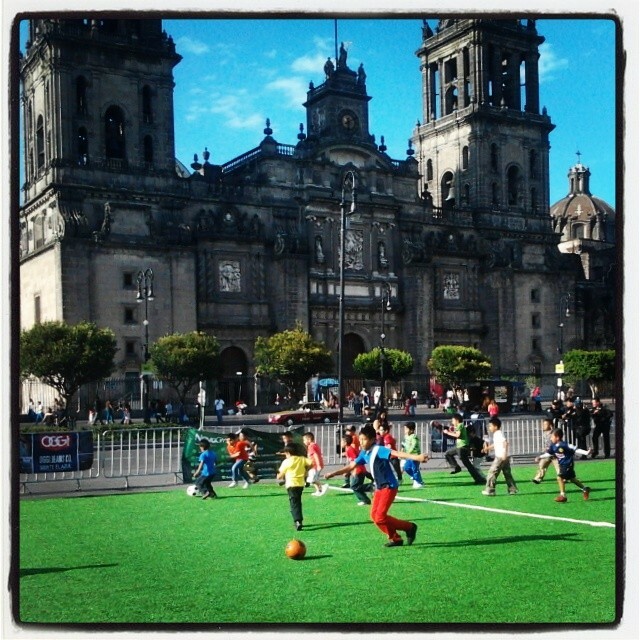 People are trying to show the good things that Mexico has to offer, all the fun things. We are a mix of cultures — the art, the food — and before, a lot of people were not trying to show these kinds of things. People were really focused on talking about the bad things, talking about so many problems. Now, people are starting to talk more about the good things that are happening. There are still some struggles, but I think people have been focusing more on the good things Mexico can offer to travellers. I was living outside the country, guiding in Latin America for about eight years. And when I came back after travelling, I noticed that the Mexican government was trying to improve a lot of things here in the city. I saw a lot of things that I hadn’t seen before — some of the capitals in Latin America gave me a reference point, and I noticed that a lot of our improvements, such as the biking system, don’t happen in other Latin American capitals. The current government is making an effort to reduce the cars, to improve the biking system, the subway. Our system moves five million people a day. When I came back and I saw that, it was like, well, we are in a difficult position, but compared with other capitals in Latin America, we are developing a lot. Many international companies have offices in Mexico City because it is a central point and it’s a good market: 25 million people in the city, a country of 150 million. That’s one of the differences that I’ve seen in the last few years: suddenly banking companies, cellphone companies, travel agencies, they are trying to have offices here in Mexico City. I have found the city quite active in the last few years. The country has been moving and moving and moving, bringing in more investments from the outside. Mexico City has 25 million people. It’s difficult to control, there are a lot of things to fix, but still, with 25 million people you can do really good things. There are concerts, activities, festivals. It’s crazy to live in a city like this, but if you embrace it, you will always have something to do. 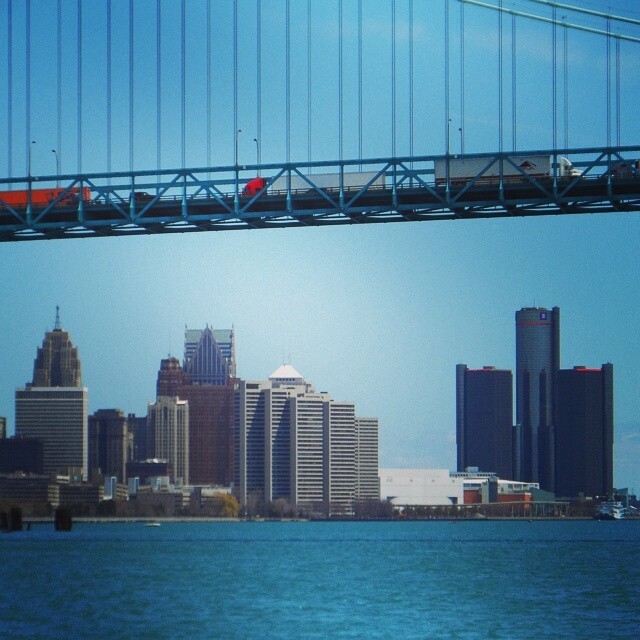 During the past few years, a lot of progress has been made in the heart of Detroit. Several thousand people have moved into downtown and midtown — into renovated buildings like Broderick Tower and the Albert, and into any other available space. It has actually become difficult to find a place to live in downtown and midtown. A billionaire named Dan Gilbert has invested heavily in his hometown. He moved his own company (Quicken Loans) into downtown Detroit, and he has bought dozens of properties, improved them, and persuaded people to move into them. The long-vacant David Whitney Building is being renovated, some major abandoned eyesores have been demolished, and blight removal has become a top priority. Shinola opened in midtown. Many young entrepreneurs are starting businesses in the city. And our arts scene is thriving — with new murals all over town, a cool event called “D-lectricity,” and more. We have been making improvements to our popular Eastern Market district, our convention center, and our riverwalk. We started construction of a new light rail system on Woodward Avenue and we are about to start building a new hockey arena just outside of downtown. A lot of the progress happened from 2000–2008, including Comerica Park, Ford Field, our casinos, the Westin Book-Cadillac Hotel, and much more. But we have gained even more momentum in the past few years, with new investment, new political leadership, and a new sense of optimism. Detroit is definitely making a comeback. Come see it for yourself! 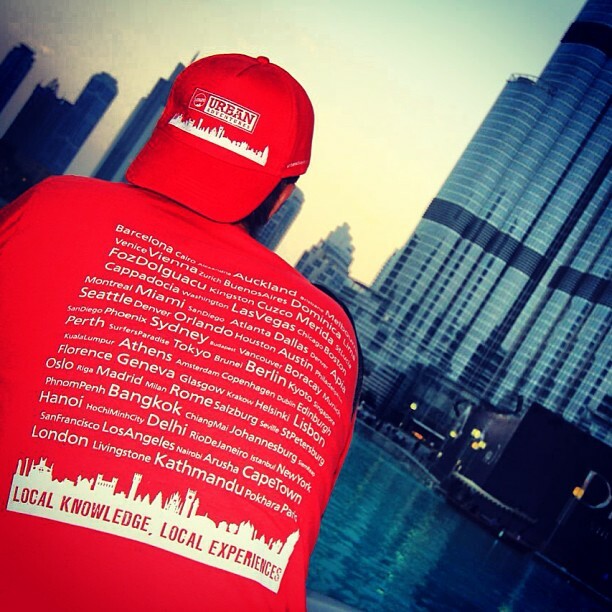 The city has changed a lot in the past five years and it’s been a great journey with Urban Adventures. I have travelled a lot, and Rio de Janeiro is really a great city. It is a city with a lot of things to do. It’s a city that has many outdoor activities – you can go to the beach, the national park, the lake, rock climbing, surfing. Living here places me where I can do those things while at the same time live in a big city. Of course, we just had the World Cup, so Rio was in the spotlight because of that. Within the past five years, that was the main thing that brought people to Rio. The city was already a big tourist destination (we have a lot of people coming for Carnival every year — Carnival is huge), but we had never had so many people and the atmosphere was great. We have faced a lot of changes, mainly because of the Olympics. People think the World Cup had a big change on Rio, but that’s not the case. The World Cup was spread out over 12 cities. The Olympics, on the other hand, is going to be Rio only. When Rio was picked to host the Olympic Games, safety became the main priority. Statistically, since that goal has been set, crime has dropped to 50% of what it used to be. It’s a big change; it feels a lot safer to walk around Rio, especially in the tourist areas. 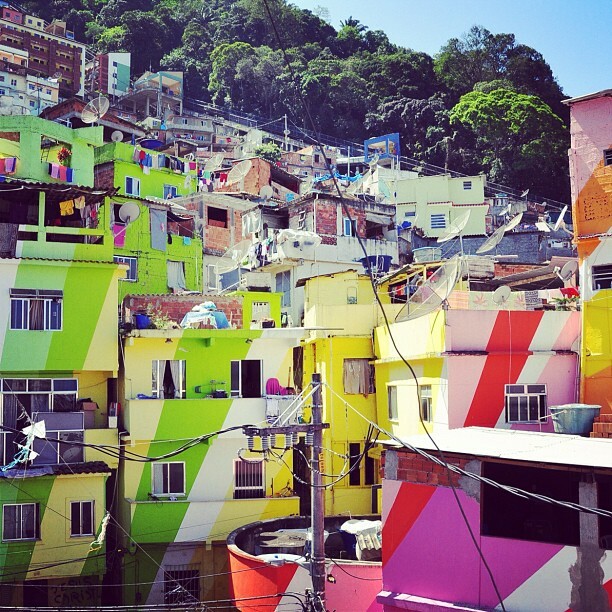 Our best-selling Rio tour goes to the favelas, which is the area that has improved the most. Where drug lords used to take care of it, now it’s controlled by the state. Not only that, of course. The city has changed in terms of transportation — they’re trying to improve the transportation system. There’s a lot to consider for the Olympics – subway stations, safety, express lanes for the buses. Traffic is still bad. It’s getting worse by the minute, it’s not improving at all. But of course, every big city has its problems, and even with the traffic, Rio can be a really great city. Inspired to visit one of these changing cities? We’ve got you covered!